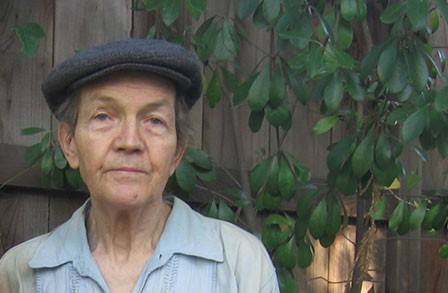 The nomination for inclusion in this Section of this issue of the BNC eNews is Tom Clark, well-known poet and author who was a resident of North Berkeley. Mr. Clark, who frequently went for walks that served as a source of inspiration for his work, was struck by an auto while crossing The Alameda near Marin on Friday, August 17, 2018. Right after the accident occurred, he seemed to be lucid and was taken by ambulance to Highland Hospital Trauma Center. The next day, his condition worsened, and he died on August 18th. Mr. Clark was 77 years old. He was born in Chicago where he grew up, developing a passion for sports by going to Chicago White Sox baseball games with his father and working as an usher at Wrigley Field. This passion for sports remained lifelong and he wrote a history of the Oakland A’s and pieces that focused on sports luminaries such as Catfish Hunter and Vida Blue. Tom Clark, the lyric imp of American poetry, has delivered many decades’ worth of goofy, melancholic, cosmic, playful, and wiggy poems. I can never get enough of this wise guy leaning on the literary jukebox, this charmer who refuses to part with his lovesick teenage heart. Mr. Clark was not only a sports fan, sports writer, and a poet, he also, later in life, became a blogger (Beyond the Pale). He also wrote theater reviews and essays for the San Francisco Chronicle and Los Angeles Times, novels, biographies (writing notably about Jack Kerouac). His career included a stint as a poetry instructor at the New College of California. He received multiple awards, including awards from the Guggenheim and Rockefeller Foundations and the National Foundation for the Arts. Time’s winged chariot is double parked near the eternity frontier.